Tonight was fish night in our house. What this means is I have a piece of fish that I usually prepare with an herb crust; Tom has Mrs. Paul’s (fish sticks or fillets), and Luke has chicken sausage. My guys are not huge fish fans. The girls, however, love it. The two dogs were in rapt attendance during the whole meal, hoping I’d break down and share. I put a pan of broccoli in the oven to roast, started the fish on its merry way, and grabbed a baguette Tom had picked up that morning. 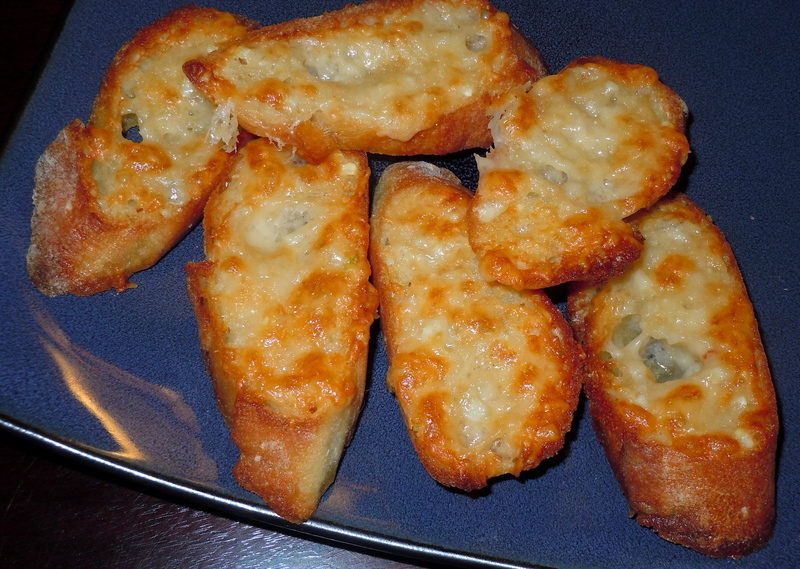 We were having parmesan-garlic toasts as our starch. I try to provide a healthy diet for my family. We’re omnivores and we adore cheese, so we tend to compromise on the whole calories-fats-carbs thing fairly often despite my best efforts. The parmesan-garlic butter was a result of trying to lessen the amount of butter on our garlic bread without sacrificing flavor. Granted, we’re substituting cheese, but my rationale is that hard cheese has less fat than butter. I told you I was willing to compromise. The idea is to use a small amount of softened butter, stir in as much grated parm as it will hold, and add a bit of minced garlic. I then spread a thin layer onto slices of baguette or ciabatta and toast them until they’re golden. The parm-garlic butter is also quite delectable when toasted onto split pitas, bagels, or flour tortillas. I’ll add chives (garlic and regular) when they’re in full swing. And I’ll use Asiago or a good extra-sharp cheddar instead of the parm for a change of pace. A few grinds of black pepper add a piquant heat. Heat the broiler. 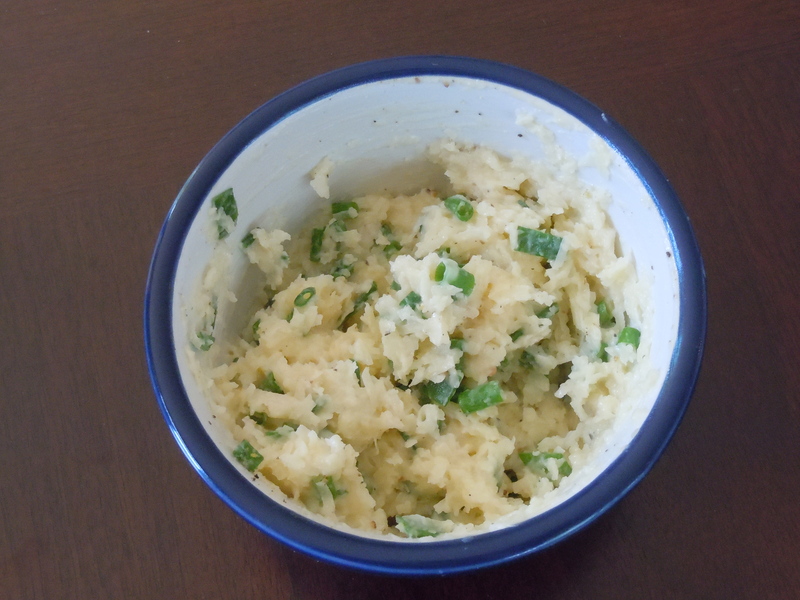 Mash as much parmesan into the butter as it will hold and still stay together as a paste. Stir in the garlic. Spread a thin layer on each baguette slice. Lay the slices on a cookie sheet and broil for a minute or two until the cheese is browned and bubbly. Serve them warm or at room temperature. This entry was posted in appetizers and tagged bread, butter, garlic, garlic bread, parmesan, toast. Bookmark the permalink. OMG. I want them now. I’m going to try it using the olive oil butter I’m trying to sneak into our meals. These look great! I also try to eat healthy at home, but sometimes you just have to indulge. These parmesan-garlic toasts are worth that indulgence!